The world’s smallest country, Vatican City is located within the Italian capital Rome and is the seat of the Catholic Church. 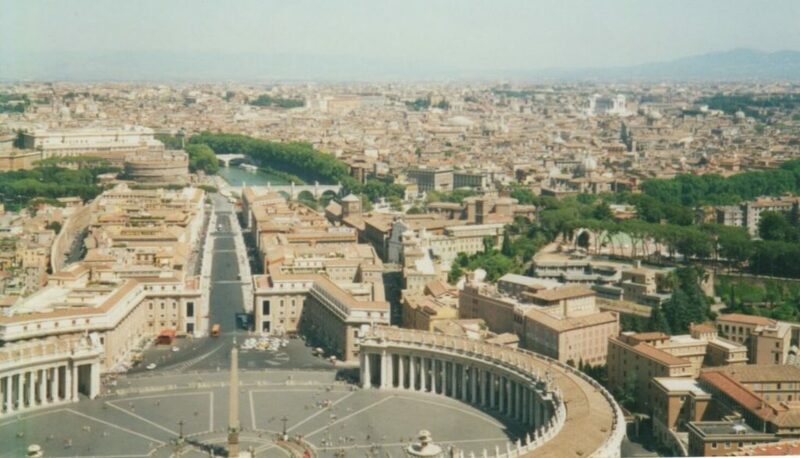 From a travel perspective, a visit to Vatican City is part and parcel of a visit to Rome. 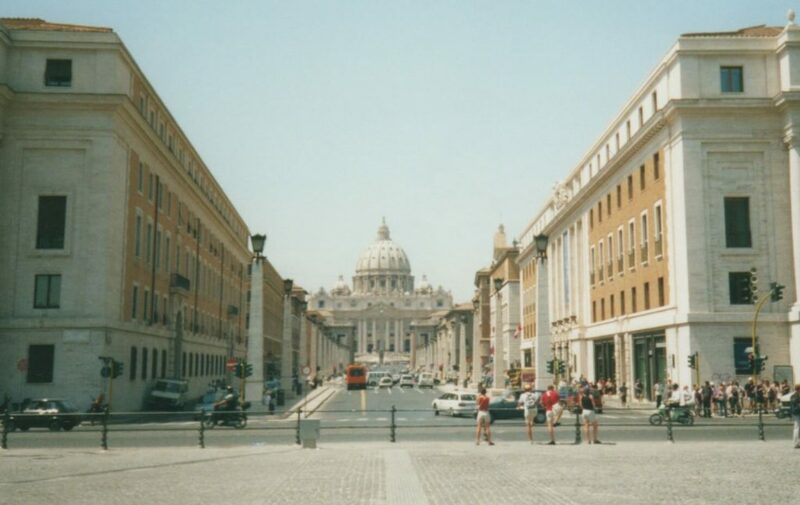 Well, this is an easy one; you walk there from surrounding Rome, and once you’re there you travel around on foot. The border is invisible and to all intents and purposes you never seem to leave Italy. St Peter’s Basilica (along with the piazza front of it) dominates the territory; it’s an amazing building and seems almost to be bigger on the inside. Make sure to go up to the roof of the dome – there’s an elevator round the corner from the main entrance taking you up to the roof, and from there you climb the stairs within the walls of the dome. This is pretty cool, as you’re in a narrow space between the walls which gradually lean over further and further as you climb up the dome such that you’re eventually using your hands on the inner wall for balance, and eventually you emerge to spectacular panoramic views of Rome. The Vatican Museum and Sistine Chapel. It’s a huge museum and it took us a good hour to walk through it to the Sistine Chapel, which is of great historical significance – the ceiling frescoes (the work of Michelangelo) are immediately recognisable even if, like me, you’re not exactly an art buff.